Researchers and students with the Center for Sportfish Science and Conservation were out only a few days after Cedar Bayou had been opened to do some preliminary sampling assessments. They were pleasantly surprised to already find a high abundance of very young and newly recruited red drum to the area. While the post-studies are just in the beginning phase, this is certainly a very positive sign of the impact the Bayou will have. In stark contrast, the pre-studies in this immediate area over the prior two year period showed an absence of these fish when the inlet was closed even after intensive sampling. 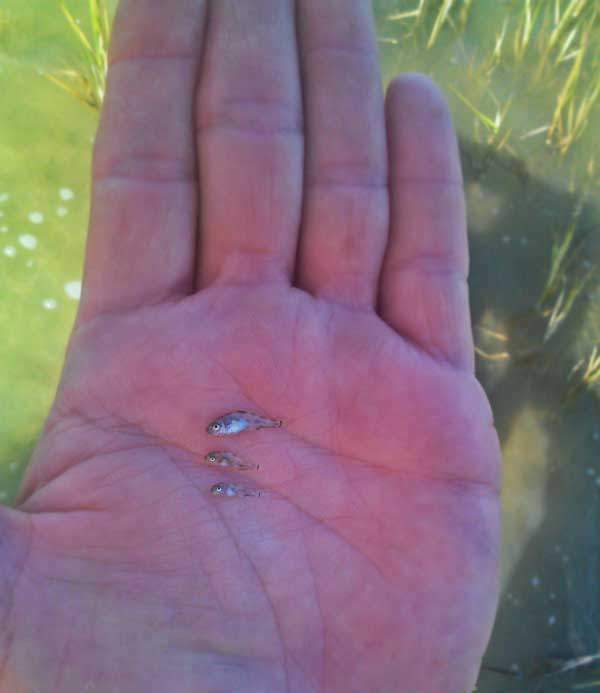 Now, only days after opening, it appears that the young larvae and early juveniles of spawning redfish and small fish about the size of a pinky nail in the Gulf have already found their way through the inlet to access the lush nursery habitats in the region. This is a remarkable finding, given that we are just beginning to enter the spawning phase for red drum. Things should only get better as the peak of spawning season begins.